I mentioned before that for this half I planned to have a fueling strategy. For the Disney Half, I didn’t really attempt any eating on the run. I was handed a vanilla Clif Shot at an aid station on the course, which I tried, but found it way too sweet and couldn’t finish it. Therefore it didn’t help me much when I felt like I couldn’t possibly run any more come mile 9-10. After suffering through a very hungry 12.5 mile run in this training cycle and experiencing a similar (actually, worse) my-legs-won’t-move feeling, I resolved to fuel! I went down to Fleet Feet one weekday afternoon. I’m usually very salesperson-avoidant, but I was the only customer in the store and, since I didn’t really know anything about gels, I welcomed the help from the employee. I told him about my experience with the vanilla Clif Shot, so he recommended that I try some fruit-based gels, instead of the vanilla and chocolate flavored ones. This is probably not something I would have done normally because chocolate and I are in a very close relationship. Then I recalled that piece of chocolate I ate during the Hot Chocolate 15k and decided he was right. Maybe sweet stuff and I just don’t get along while running. 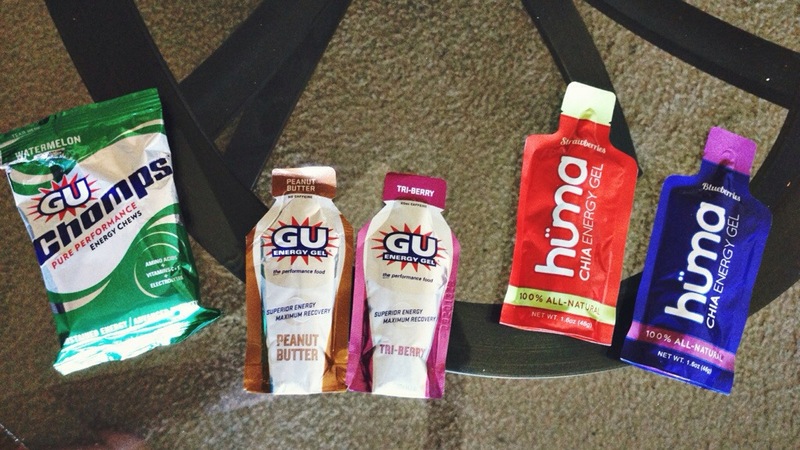 They carried quite a few brands of gels in the store, and I was a little overwhelmed with what to try. I went for the classic GU, which is the brand most races seem to actually hand out on the course, and the employee recommended Huma, which he said was thinner and seemed to go down easier. 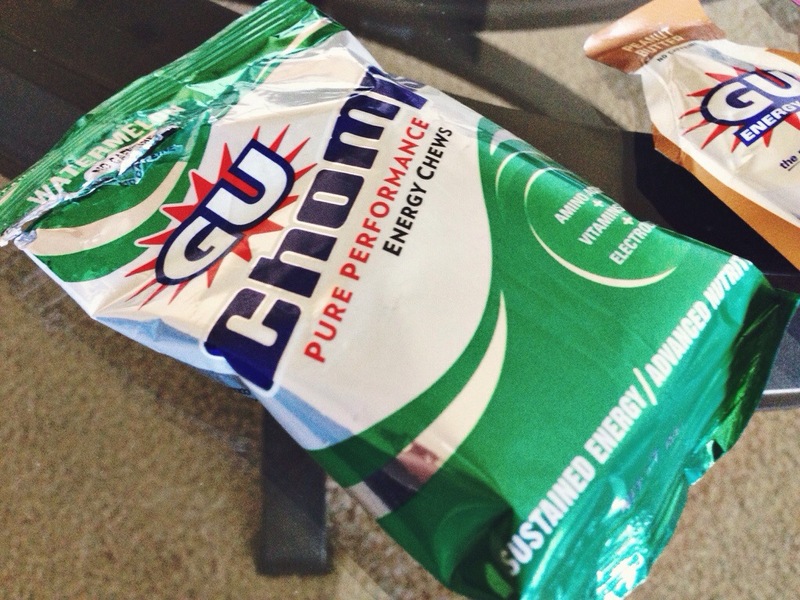 I also grabbed a bag of GU Chomps, which are essentially gummy things, just in case I had an aversion to gels period. On my 14 mile run, I tried out the tri-berry at mile 5. It surprisingly tasted really good! I don’t know what I was expecting, but it was pretty yummy. It was thick, though, and I needed a lot of water to get it all down. Then the aftertaste hung around for another mile, which wasn’t great, so I kept drinking more water to try to get rid of it. I wouldn’t have access to this much water on the course, so I had to keep that in mind. 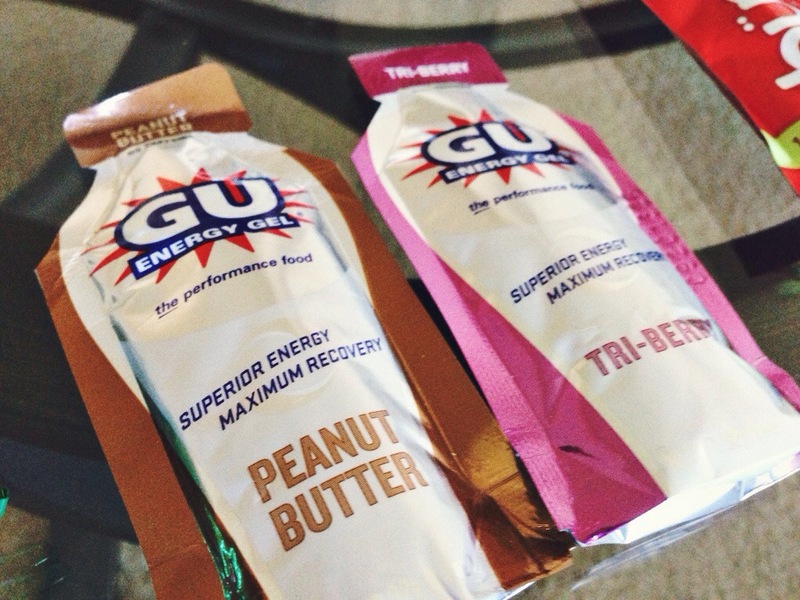 I went for the peanut butter on mile 5 of my next 12.5 mile run. I highly recommend this one if you are a fan of peanut butter. Tasted just like it, but didn’t stick to the roof of your mouth. Again, though, it was thick and I needed quite a bit of water to wash it all down. If that doesn’t bother you, then I recommend the GUs, as I felt they were both slightly tastier than the Humas (although filled with a lot of artificial ingredients, if that bothers you). I tried these at the 10 mile point on my longer runs. The first one was the blueberry one on my 14 mile run. It was okay. It was thinner than the GU, as the Fleet Feet employee had promised. 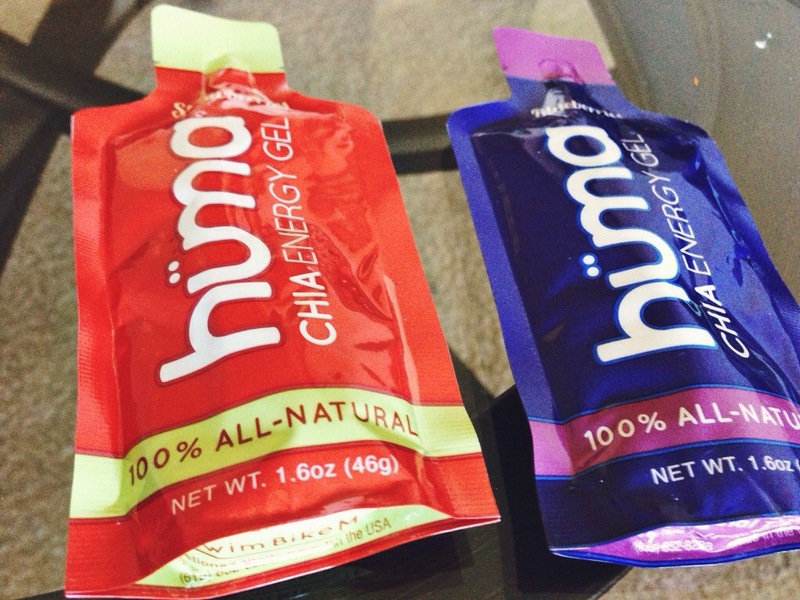 The Huma gels are all-natural and infused with chia seeds, which I liked, but the flavor wasn’t quite as good. Maybe I’m just used to artificial flavoring. I went for the strawberry one on my 12.5 mile run. I did like it better than the blueberry. I also liked that since they were thinner, I could down the whole package and then wash it all down with some water quickly. Not like the GUs where I felt I needed to eat some, then drink, then eat, then drink, which I could see being very hard in race conditions. Thus I decided to go with the strawberry Huma for the Country Music Half. I actually liked these a lot–to munch on before I started running. I got the watermelon flavor, and, while they weren’t really flavorful, I liked eating one or two just before my run to make sure my energy levels were up at the beginning. I will probably carry a couple of these with me as well to eat in the corral. I never really tried eating them on the run. I was supposed to on my 15k progressive run, but since that didn’t ever really happen, I just ended up munching on all of them before runs. Anyone got a favorite gel they really like? He messaged me and said he was nervous, so I told him I’d write up some tips for him. Here ya go! Pay attention to what you are doing a couple days out from the race. Eat well in the days before the race. Drink lots of water! And don’t stay up too late; get plenty of sleep. It’s okay if you don’t sleep well the night before, though. Nerves, anxiety, and excitement can keep you up the night before a race. Early start times don’t help (though, thankfully, that’s not an issue for this race). Studies have shown that the sleep the night before a race is not really important. Just try to get some sleep the night before that! Lay out all the stuff you’ll need on race day the night before. You’ll be less likely to forget something, and you won’t have to figure out what to wear while rushing around early in the morning. If you go to packet pickup before the race, go ahead and pin the bib on your shirt and attach the timing device to your shoe (not all races use these, some timing devices are attached to your bib). Not sure what to wear? A good rule of thumb is to add 15-20 degrees to the temperature it will be for the race and dress like you’re going for a walk in that weather. Study the course map before the race. 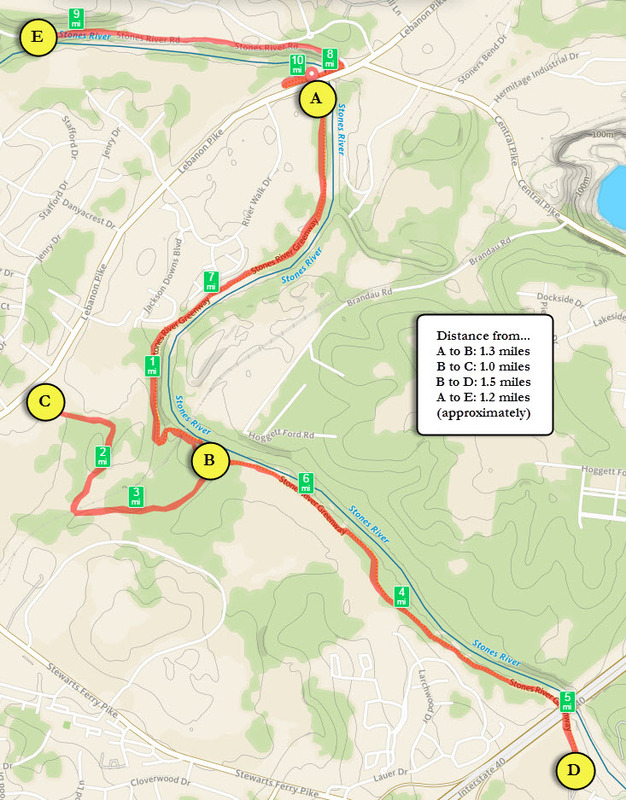 Most race websites will post the course map, along with the location of any water stops. Check it over before the race so you know what to expect. If you think you’ll need to hydrate more than what they provide on the course, bring your own water. Make sure you check the elevation map too; if there’s a large hill right before the finish, you’ll need to conserve some energy for it! Don’t do anything new on race day. Race day is not the day to wear new shoes, new clothes, or eat anything new for breakfast. That is what training is for. The only thing new you should be doing is pinning a bib to your shirt. Get there early, especially if you are doing packet pickup the day of the race. I’ve seen packet pickups with no wait and some that I’ve had to wait 20 minutes in line for. It all depends. So if you are doing packet pickup the morning of the race, I’d aim to get there an hour early. That will give you plenty of time to park, pick up your things, attach your race bib, use the restroom, and get in some warm up time without feeling rushed. Don’t start in the front. 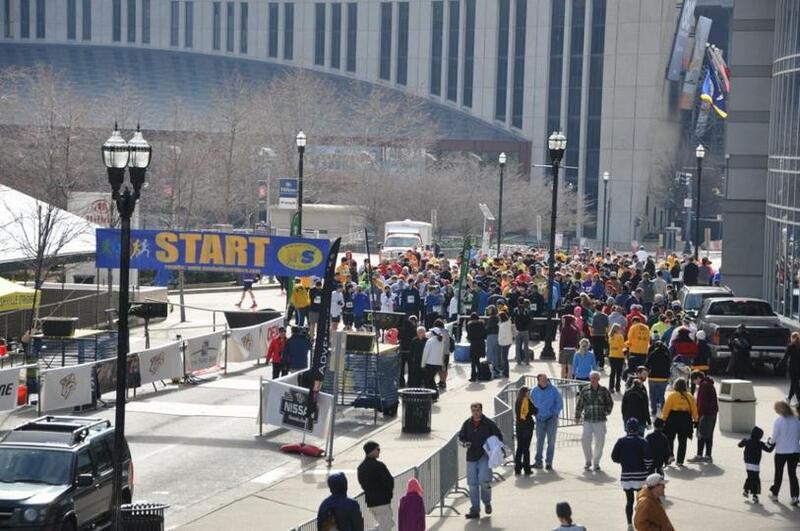 Unless you are in a larger race with corrals, it’s going to be up to you to pick where in the crowd to start. The people in the front are the fast ones. The people in the very back are the walkers. Middle of the crowd is your 8-10 min/mi group. Pick where you think you would fall in. If in doubt, choose further back. You will start too fast if you aren’t consciously thinking about it. Adrenaline will naturally make you run faster than you do in training. This, coupled with the fact that you are running with a bunch of people who are passing you, will make you want to take off faster than you have ever run. And you will get worn out quickly. Be conservative when starting out. You can pass all those people later when they realize that they’ve started too fast. Race courses are measured by using the shortest distance possible to finish them. This means on curvy roads, the shortest path is straight down the middle and not following the curves. When you run a race, usually a watch or any other run tracking software will probably say you ran further than the race distance. This is because it’s nearly impossible to run all the tangents, due to other runners. But try to save yourself from adding too much extra distance to your race by running all the tangents you can. Plenty of people run/walk or just walk races. That doesn’t just apply to 5ks either, as I know plenty of people planning to walk the Country Music Half next month. People aren’t judging you, and you aren’t a failure if you feel the need to walk. Sometimes it’s the little boost you need to get to the finish line. However, make sure you follow race etiquette: if you decide to walk, make sure there’s no one directly behind you and move over all the way to the right! Don’t worry about your time; it’s an automatic PR! This goes for every race of a new distance that you do. If you’ve never raced it, you don’t have a time to beat! Enjoy your first race and don’t be concerned about numbers. Don’t stop after you cross the finish line. Keep walking around for a bit to cool down. I know you are tired and probably want to sit, but get in at least 5 minutes of walking so it’s not a shock to your body when you stop. Eat something right after you finish. They offer you free food for a reason. Your body needs protein and carbs after you run (the sooner after you finish, the better), so grab a banana, a doughnut, or whatever else they are offering.